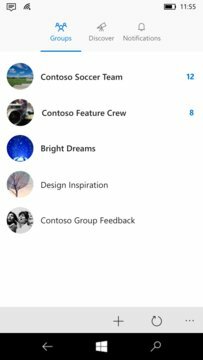 Outlook Groups enables you to engage with your team on the go with an Office 365 work or school account. Take part in the latest discussions, share photos and notes and collaborate on files. 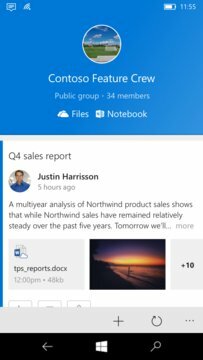 Use Outlook Groups today to start working better with your team, learn more in our FAQ: http://aka.ms/outlookgroupsfaq.